Hey, MOSHI MOSHI NIPPON readers. It’s Midori again from the MMN editorial team. LINE is a messaging app used around the world, but especially in Japan where it is as ubiquitous as WhatsApp is in the West. It’s popular for its wide range of character stickers, many of which have earned such a reputation as to spawn merchandise lines. 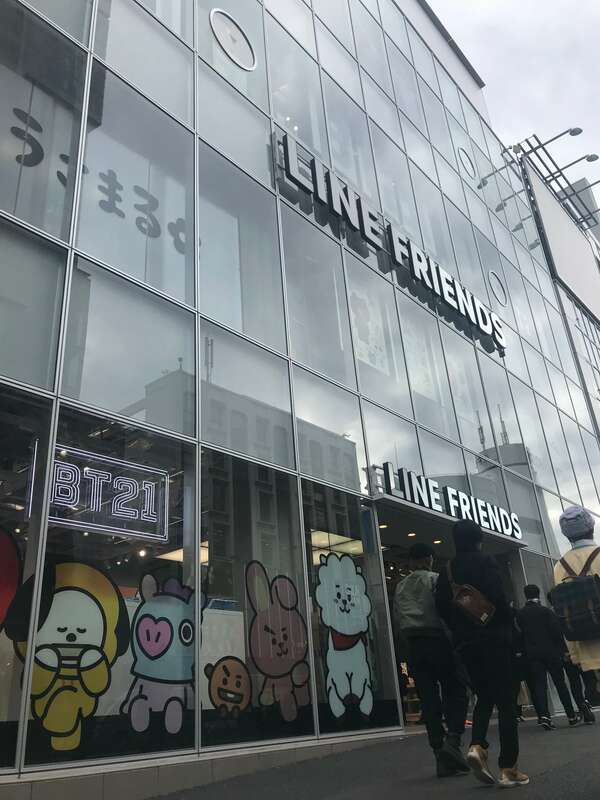 In Harajuku there is a shop dedicated to these very characters: the LINE FRIENDS Flagship Store. It’s packed with customers every single day. I went to visit for the very first time and see what all the fuss is about. 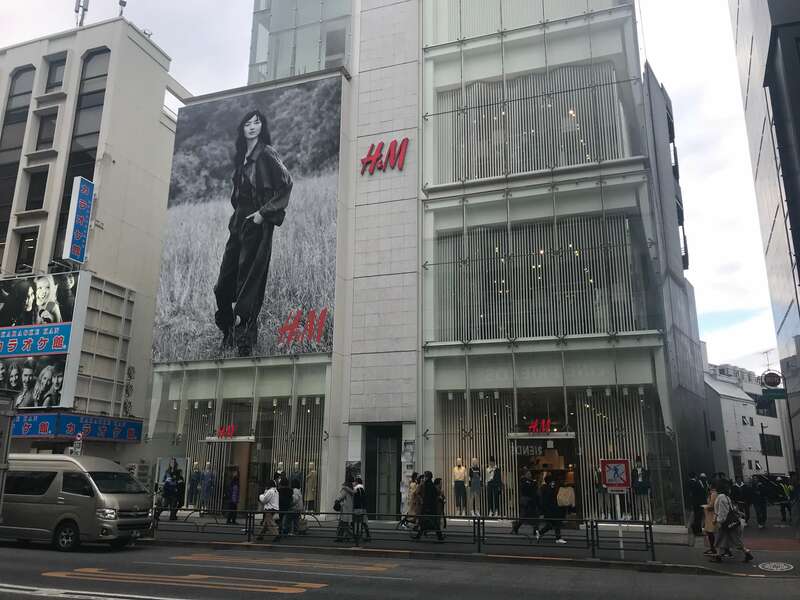 The store is located along Meiji-Dori Street, just a five-minute walk from Harajuku Station’s Omotesando Exit. 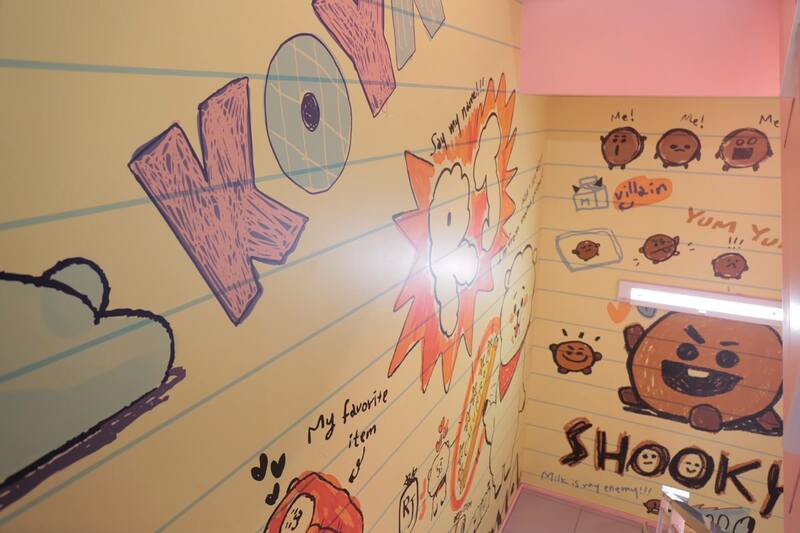 You’ll spot it right away from the LINE FRIENDS characters waiting for you at the window! It’s fairly large-looking, isn’t it? Upon entering I was met by a huge Brown, a popular bear character on LINE. 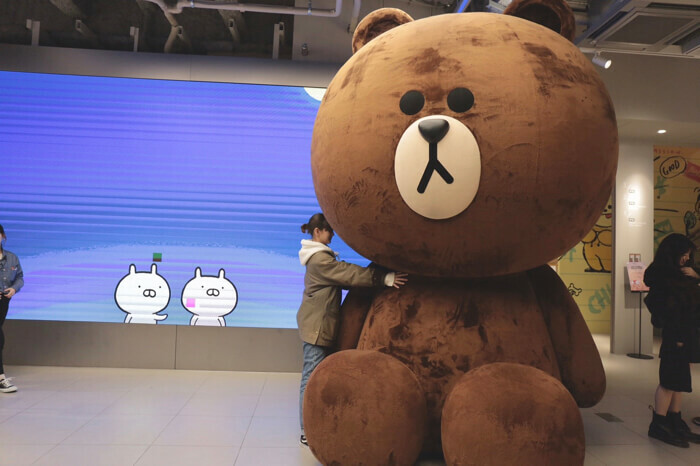 This huge and fluffy Mega Brown is so popular it’s not uncommon to see people lining up to take a photo with him. He’s so cute I understood why people line up for a picture! 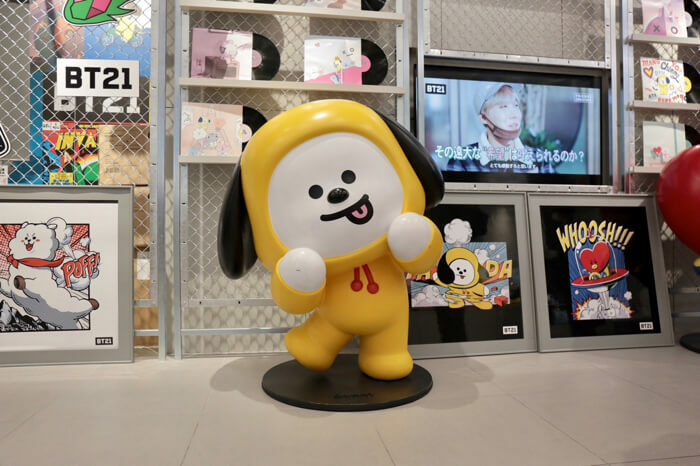 At the store you can buy merchandise for familiar LINE characters like Brown & Friends, super popular faces created by users in the Creators Market like Usamaru, items from the BT21 character brand―a collaboration between K-Pop group BTS and LINE FRIENDS―and more. 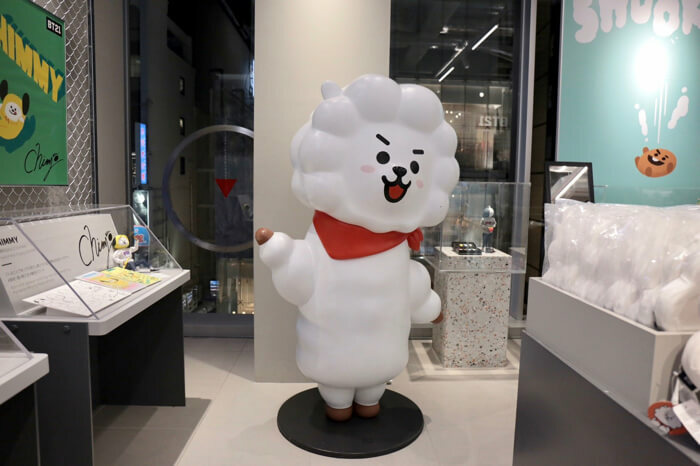 The BT21 range is on the third floor. 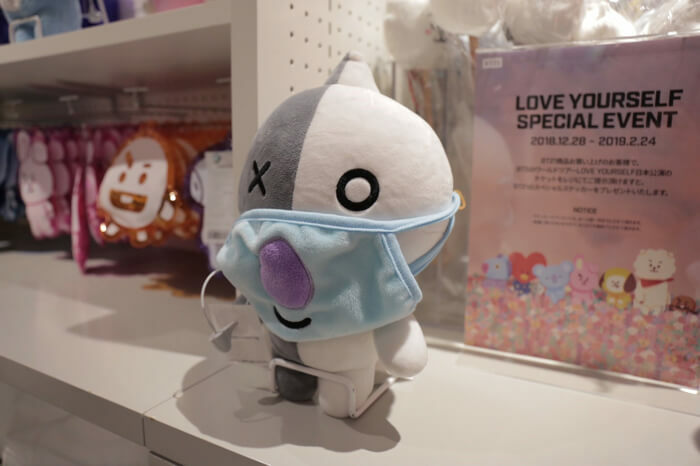 The BT21 characters were created by the BTS members themselves. 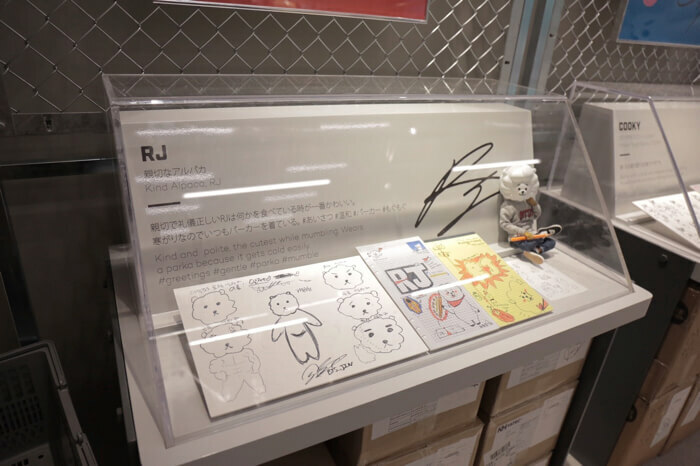 At this Harajuku branch of the LINE FRIENDS Store there is an exhibition of original sketches by the members as well as details on their characters and more. It’s also a big screen showing the characters being made. 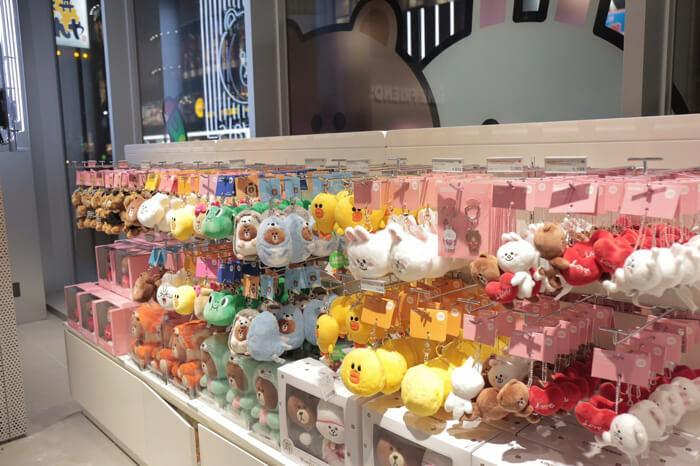 This is an irresistible area for both BTS and BT21 fans! There’s even statues of the characters on display. They’re all cute so you just want to take photos of them all! The characters are even up the stairs – there were people taking photos of them while walking up. Back down on the second floor are lots of items of characters designed by Creators. Usamaru (above) was there to meet me. So cute! 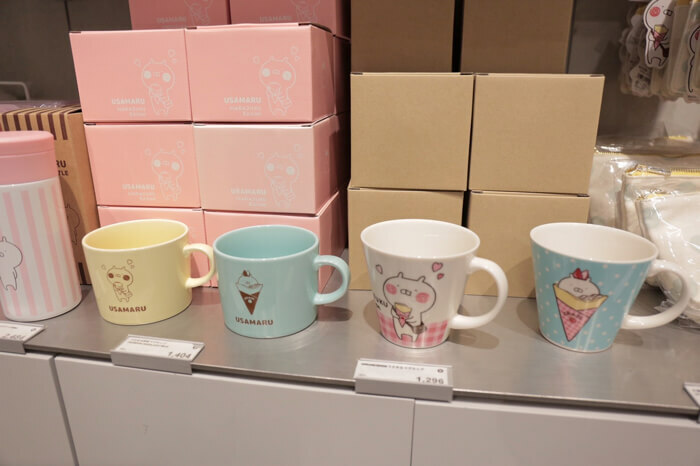 There’s even merchandise exclusive to the Harajuku branch which would make for perfect gifts. But all the items are so cute I want to keep and use them myself. And the list just goes on. There’s so much to choose from I just want everything! 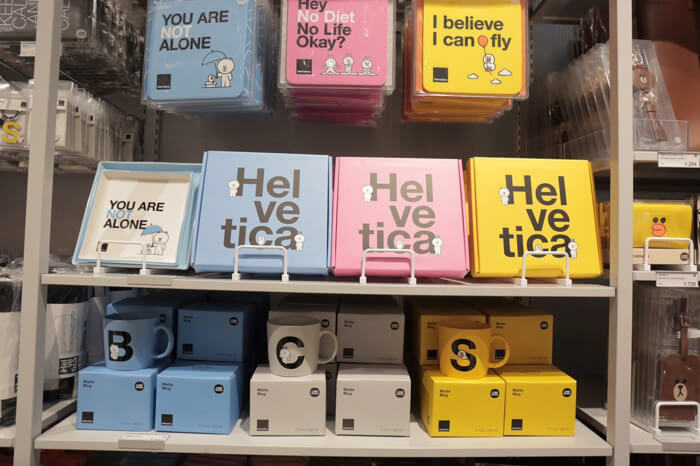 There’s also items made in collaboration with the Helvetica font. It’s really stylish and would be great for guys or for using in the office! 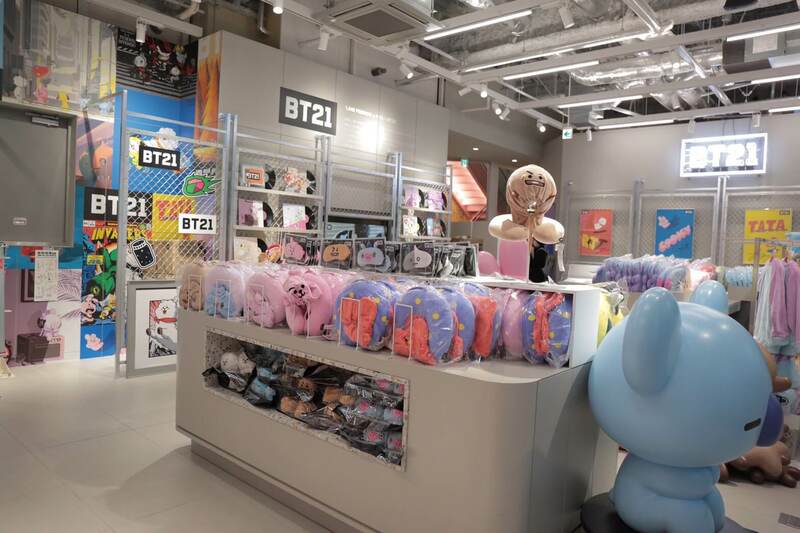 There was BT21 merch on the second floor too. Fans of the original Brown & Friends posse can rejoice in knowing that there are plenty of items from them too, all of which can’t be bought at any other souvenir shops. 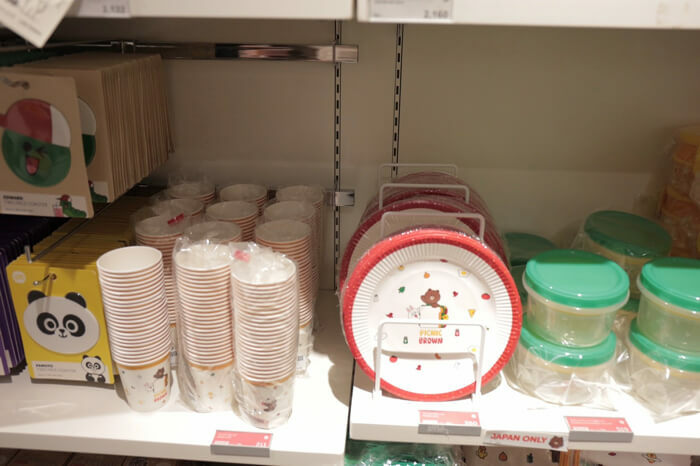 Not only are there decorative pieces but practical things you can incorporate into your daily life too like plates, cups, containers and more. 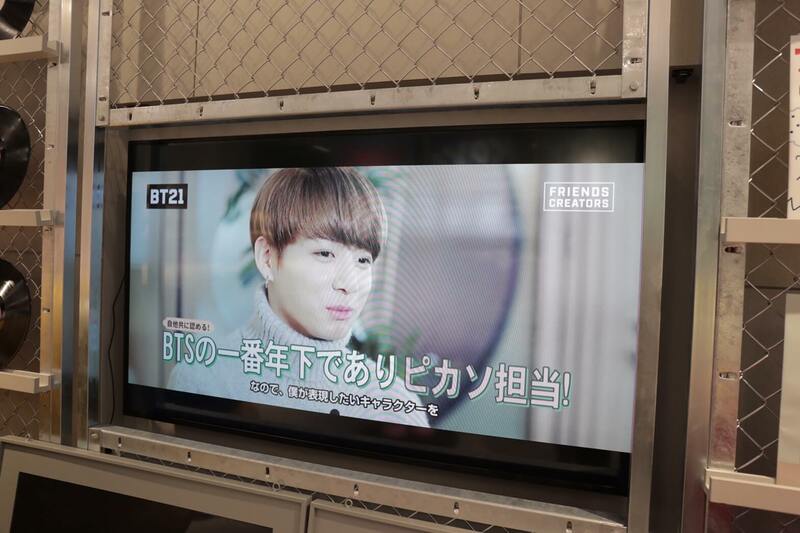 Brown & Friends, BT21 and other characters can be found on the first floor as well. 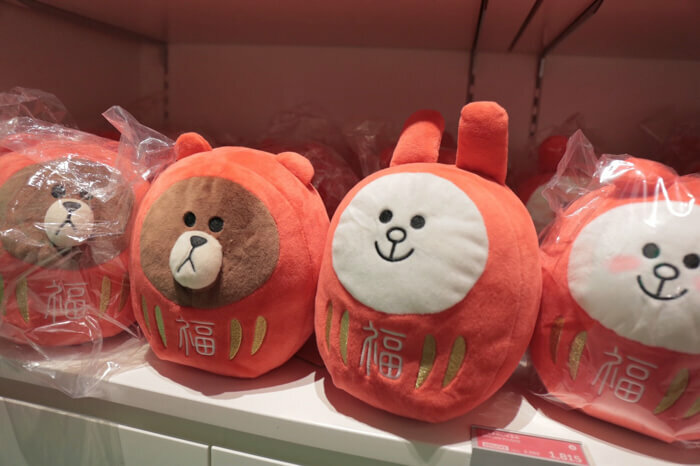 Japan-inspired goods too like the above daruma doll plushies. These are Hasami ware mamezara dishes. This fusion of traditional and modern Japan is really stylistic. 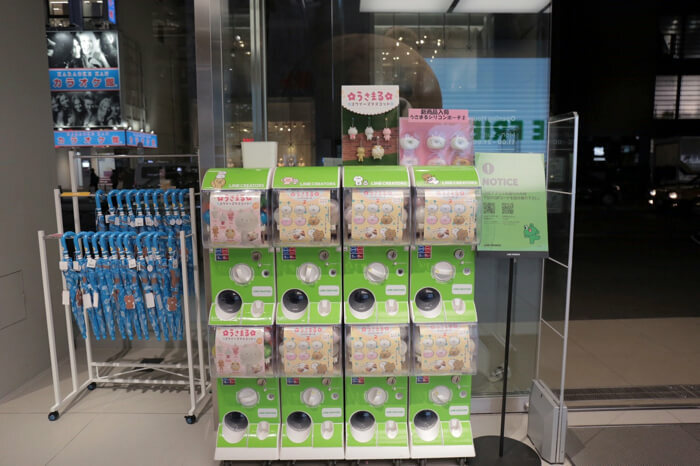 Gashapon capsule toy machines can be found next to the till area, so if you’re standing there in the store thinking to yourself, “Well, I’ve accumulated a bunch of coins during my Harajuku trip, so…” then try your luck. 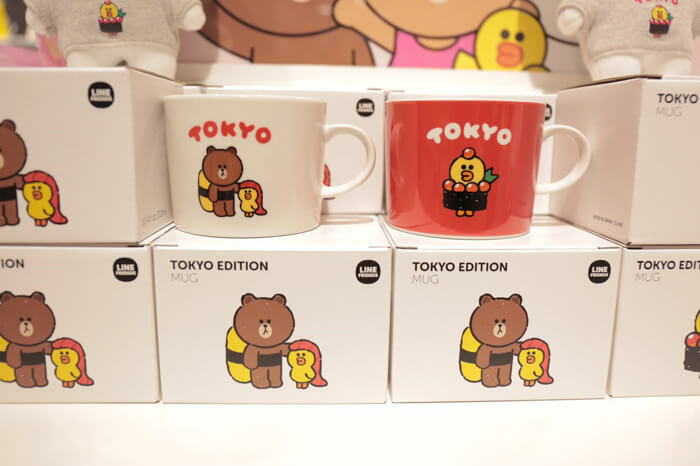 The highlights of the LINE FRIENDS Flagship Store in Harajuku are its great line-up of items and cute interior design and decor. 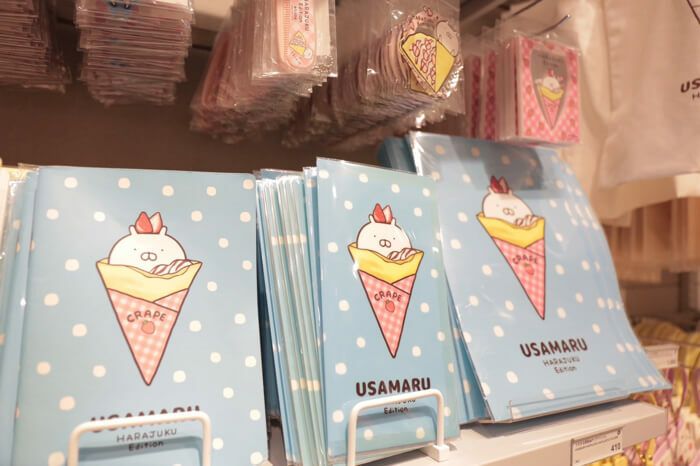 Their stock of daily necessities are adorable too, some of which can’t be found with other regular character products. Pick and surround yourself with your favourites to use each day! 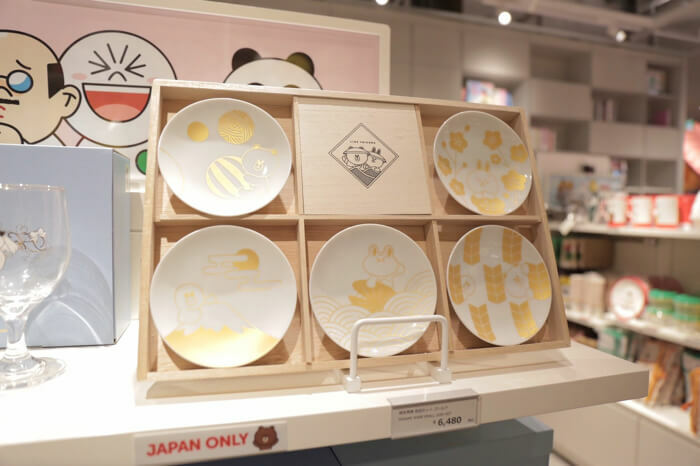 Whether as a gift from Harajuku or Japan everything can easily be made use of. 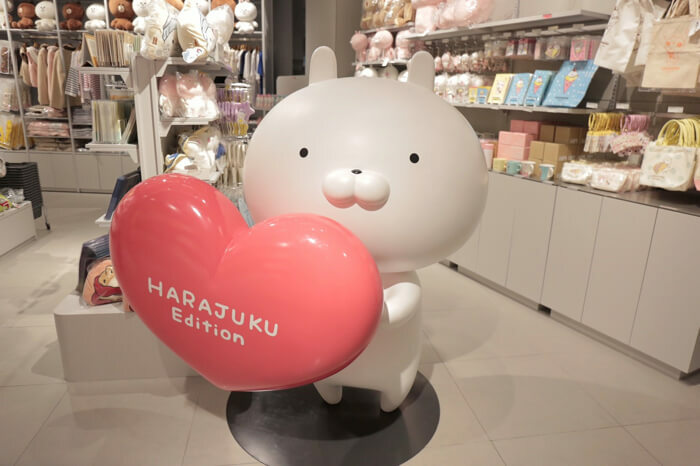 You’ll find lots of cute character statues too in addition to the Mega Brown so shopping there is incredibly fun. 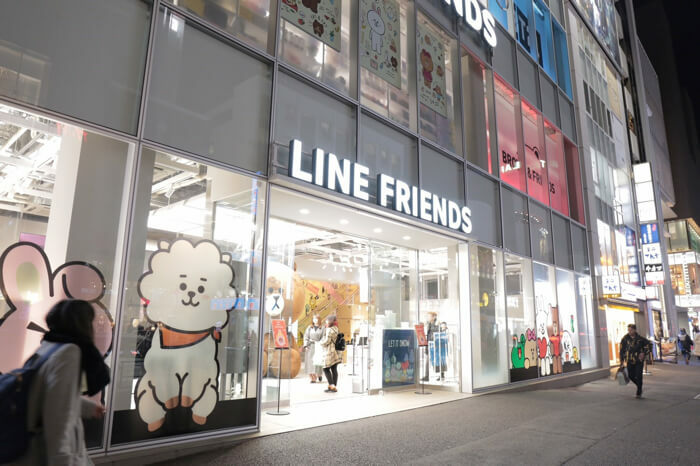 Whether you’re visiting Harajuku for the first time for spring break or making a long-awaited return, be sure to visit the LINE FRIENDS Flagship Store where time flies by in an instant.